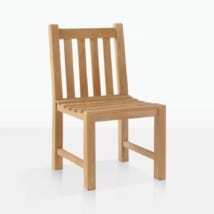 Simple, handsome and dignified; get ready for comfort in this robust teak dining chair. 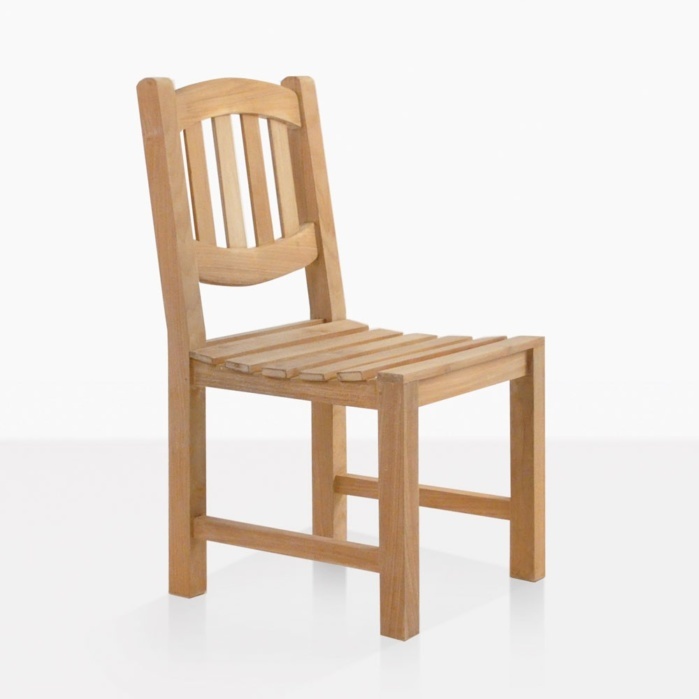 Comrade of the Ovalback Family; the Ovalback Side Chair features a chunky teak frame with an elegant curve at the top and bottom of the back piece, and slats running the length of the back and seat creating an overall timeless design. 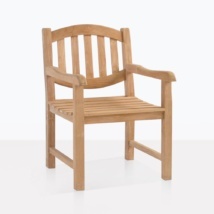 The Ovalback Side Chair is a cherished member of the Teak Warehouse collection. Not out of place in country gardens, seaside, or on a tiled patio, this chair fits into a ton of areas with its simplistic, and chic design. Though suitable as a standalone piece, the Ovalback Side Chair is a convenient dining height, absolutely perfect for long lunches, outdoor dinners and large family get-togethers. 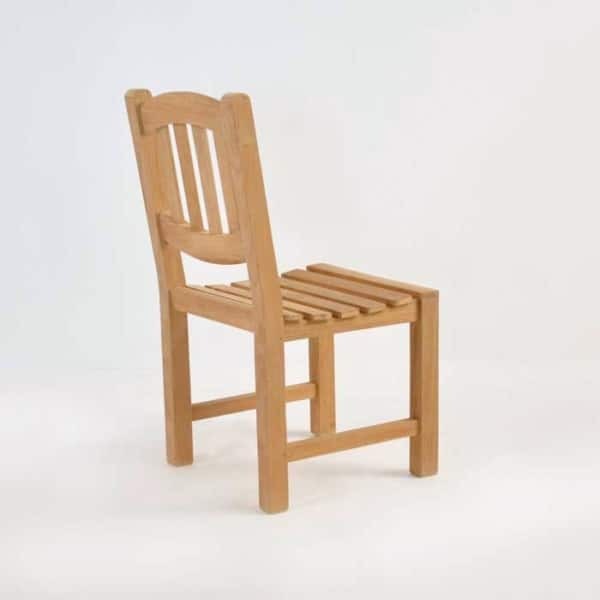 Create the perfect comfortable, communal and comely scenario with an Oval Extension Table lined with the Ovalback Side Chairs and complemented with the Ovalback Arm Chairs at either end. Place one of our Sunbrella Umbrellas in the middle, such as the Veradero Umbrella, to ensure shade for you and your guests when the sun comes out in full force. 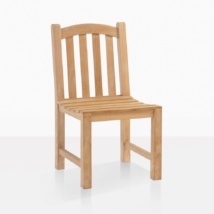 This charming teak dining chair suits smaller settings as well! 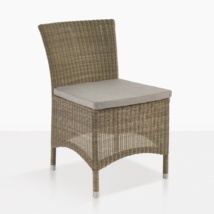 Place 4 Ovalback Side Chairs around a 35” Square Pedestal Teak Table for the ultimate lunch spot! Have a commercial space? Multiply this look, weaving in umbrellas into the mix to create a welcoming, charming and timeless look for your clientele to enjoy the space you have created. The Ovalback collection is constructed using Grade-A Teak with epoxy glues and marine grade fittings, guaranteeing a high-quality product that will last for years to come. Want more ideas? Call us now! Our sales staff are in store 7 days a week and are happy to answer questions and help you find the best combination to suit your style and space!